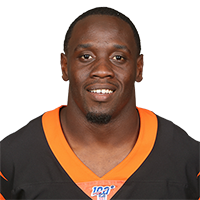 Flowers was promoted to the Bengals' active roster Friday, Adam Schefter of ESPN reports. Analysis: Flowers -- a college quarterback at USF -- signed as an undrafted free agent in May as a running back, and he's been on the Bengals practice squad since roster cutdowns. The rest of the running back group is currently healthy, so he's unlikely to see much in the form of offensive opportunities. However, the 24-year-old looks as though he'll at least get to be on an NFL roster for the final game of the regular season. There are no videos available for Quinton Flowers. Click here to view all videos.